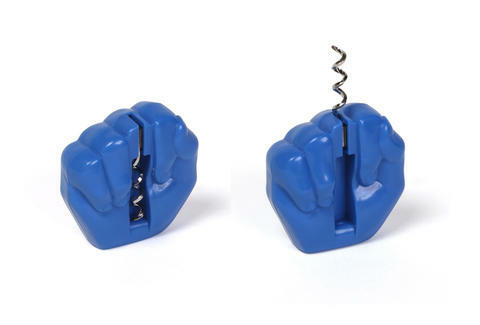 Whether you're angry, frustrated, or just stressed out, the Screw You Corkscrew from GAMAGO offers a more rewarding release than just flipping someone the bird -- it also opens your wine. That's right, giving the finger just got even more useful. This little blue tool is compact and dishwasher safe, with the added drama of a spiral the flips in and out of the uncorking position. Plus, if anyone takes offense to the gesture, you'll also be in a great position to offer them a glass of wine.